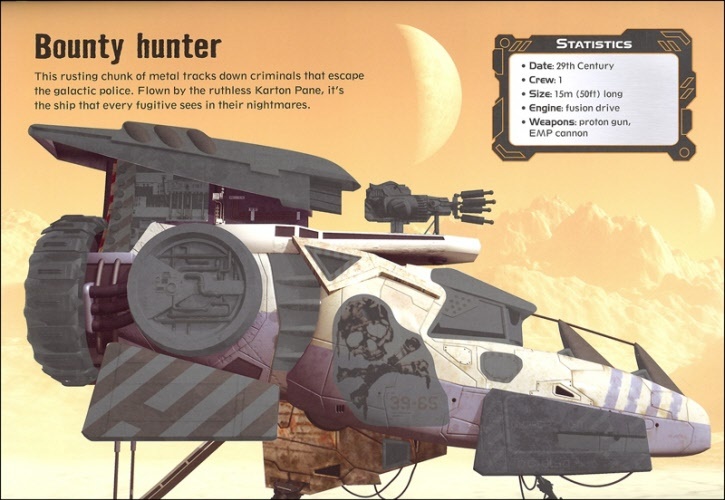 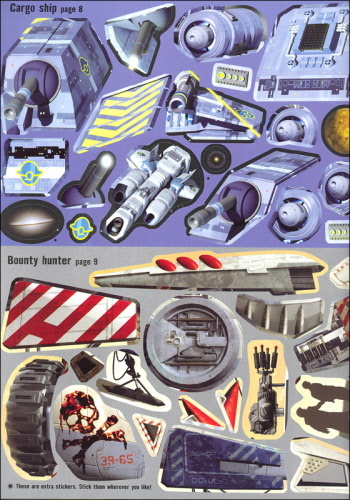 Finish off 20 of the greatest spaceships in the galaxy, from the near past to the distant future! 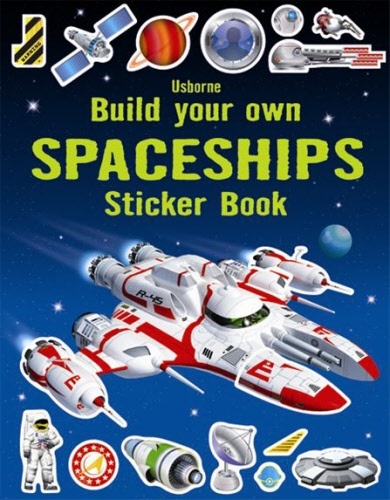 Find the right stickers and complete your spacefleet. Young space fans can create their own amazing spaceships in this skyrocketing sticker book. 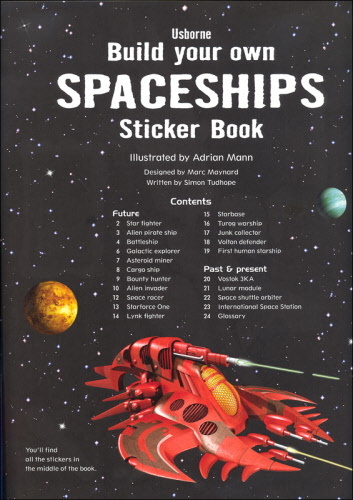 10 full pages of stickers, including laser guns, rocket boosters, viewing ports and more will keep children entertained for hours. Includes spaceships inspired by famous science fiction stories, as well as actual spaceships and satellites that exist today.